Acupuncture is a Chinese based practice of homeopathic & alternative medicine that has been in the used for centuries. There is an underlying belief that acupuncture can restore balance and ultimately healing in a person’s life. 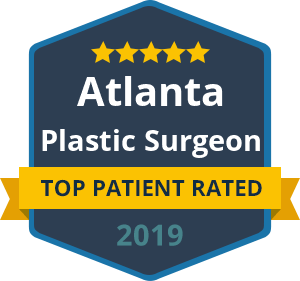 Dr. Ben Talei, a dual board certified facial plastic surgeon offers this age old practice at the Beverly Hills Surgery Center for Plastic and Laser Surgery. These treatments are based upon a belief that energy, called chi, flows through the body. Acupuncturists hold to the belief that when illness occurs something is blocking the flow of this energy or chi and must be unblocked. This method of unblocking these pathways includes inserting very thin needles at various places in the body to promote the flow of energy. Patients generally do not feel pain when the needles are inserted. Commonly, there is a slight pressure followed by tingling, itching, numbness, or soreness. Dr. Ben Talei is the leading physician at the Beverly Hills Center for Plastic & Laser Surgery. He holds a dual fellowship training in Facial Cosmetic and Reconstructive Surgery, Vascular Birthmarks and Congenital Anomalies with Laser Surgery. He holds a strong belief in the combination of modern medical practices in conjunction with homeopathic and alternative medicine. If you are interested in using acupuncture therapies, contact the Acupuncture Specialists at the Beverly Hills Center for Plastic & Laser Surgery to schedule a consultation. During your consultation with the acupuncturist, you can discuss your goals for the therapies and how learn how acupuncture can be an affective tool for your overall health and well-being.